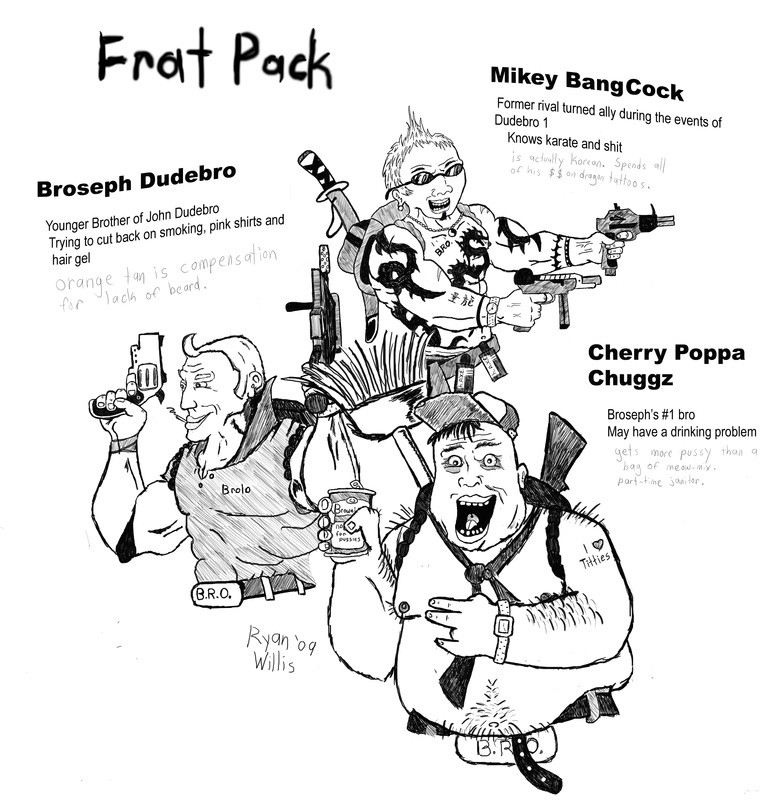 Here we have some art of a group of proposed characters. This was drawn by one of the concept artists, Sill4, before officially joining the team. In the end, the boisterous trio did not make the cut. Take a look. 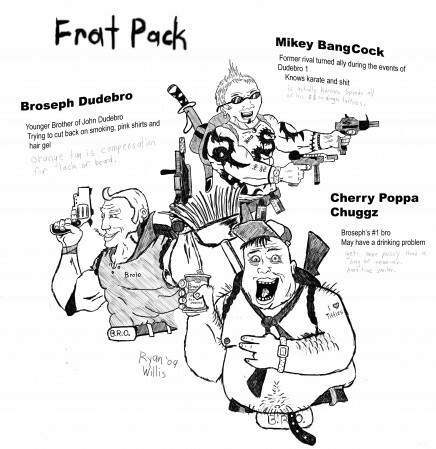 Note: we can’t be 100% sure, but Mikey BangCock probably wasn’t in Dudebro I. This entry was posted on Monday, May 28th, 2012 at 10:00 am	and is filed under Main News.